Exu and the Quimbanda of Night and Fire is the companion to Pomba Gira. Together they give the most complete account of this sorcerous cult. Exu is the fusion of Umbanda, Angolan sorcery, European demonology and Kardec’s Spiritsm, erupting in a uniquely Brazilian cult of practical magical action. Spells, workings, hierarchies and origins are all given in detail. 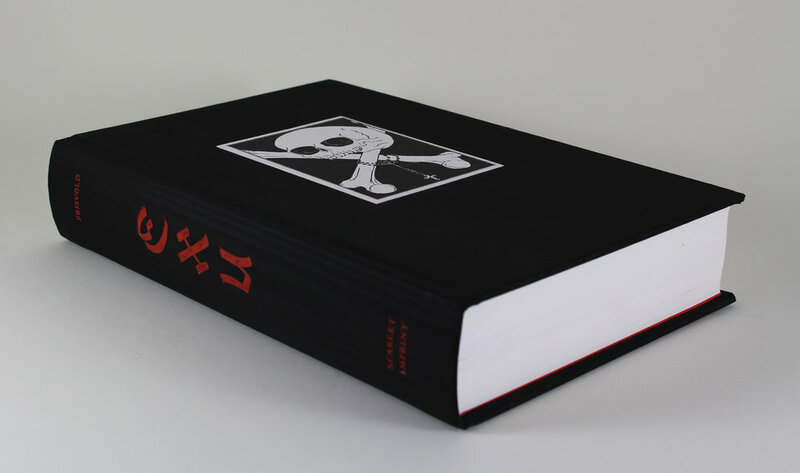 This is an essential text for students of the grimoires, Satanism and Traditional Witchcraft, as well as those drawn to or working within the cults of Quimbanda, Candomblé, Santería, Palo Mayombe and the African diaspora religions. Quimbanda is a living tradition that gets results. It is a massive storehouse of magical lore, heresies and history which has absorbed aspects of Goetia, Grimorium Verum, Red Dragon and even Huysman’s Là Bas. The origin of Exu is explored from the iconic Baphomet of Eliphas Lévi and the influence of St Cyprian, the patron saint of necromancers, back to Umbanda and the traditional African religions. 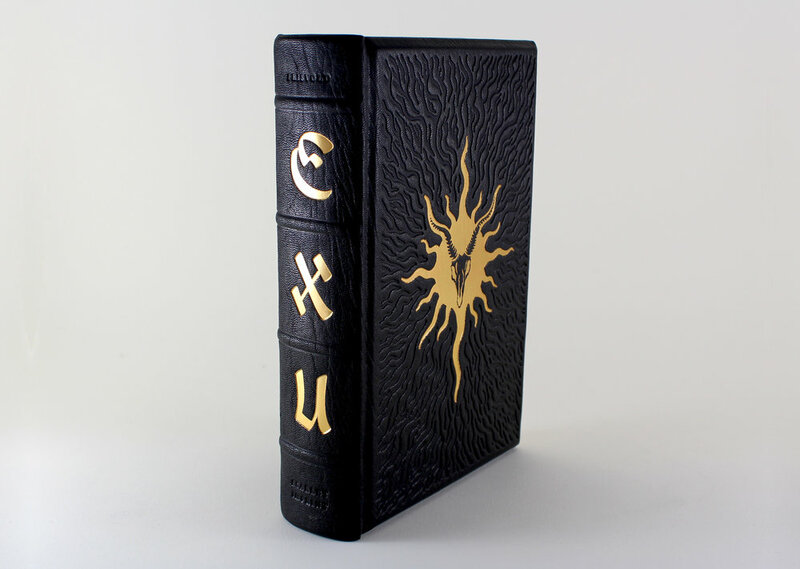 Exu revels in a unique heritage that encompasses a Gnostic account of the crucifixion mystery, the concealed nature of St Michael Archangel and the native shamanism of the Caboclos. A forceful spirit, Exu presides over the kingdom of the world, and offers a fierce path for those that would take him as companion. The Seven Legions of Exus are ‘hot’ spirits, and their work is considered black magic. The perils of this work are given, with the dangers of obsession by the Qlippoth and vampirism described. Guidance is offered and the path to ascension shown. In Exu and the Quimbanda of Night and Fire Frisvold gives explicit workings for good and ill, a herbarium and details of offerings, powders and baths, songs and seals. He discusses the fearsome Exu Mor for the first time, a subject not treated in his previous works. Frisvold is an intiate and gives an insider’s view, drawing upon his years of experience in the cult. With access to texts, manuscripts and personal testimony this is the most definitive work on Exu available in English. Quimbanda is an initiatic tradition, but there are still many things that can be done by the votary who seeks to establish a connection with his or her spirit. When your personal Exu or Pomba Gira has become clear it is perfectly fine to work with them, but if guidance is absent, the votary should limit the work to the spirits that are naturally close to him or her. We all have these spirits around us, and our personal spirits tend to enter into agreement, working with us in harmonious ways; but we cannot say the same of other representatives of this large family of spirits. Some of them are tricky and others very unruly. It is important to keep in mind that the work a votary does is restricted and that the focus for one’s work will be a particular Exu or Pomba Gira. Yet still here danger abides, because we are working with parts of our soul that are easily led astray in delusion, passions and vice, without being necessarily provoked by kiumbas. No matter how we seek to understand Quimbanda, at the centre we find the eternal demand of character and knowing yourself. This is true for the one who works Quimbanda as an infernal communion, as much as for the sorcerous warrior. A successful working depends on character and discipline. When we know ourselves we are able to generate stillness and all that we need to apprehend becomes comprehensible to us. We will know what needs to be done in a given situation and will use cunning in how to approach the spirits and the working itself. From any kind of working we make, whether good or ill, residues remain. We make a mark on the world, no matter how small, by working a given bond. It can be like ripples on the water or a cat scratch on a diamond. Good workings tend to generate residues that bring more abundance, whilst negative workings generate residues of darkened light which attracts the blind and obsessive powers that naturally get involved in malefica. It is important to have enough discipline to invest time in cleaning up these residues so they don’t infect your body or soul. Quimbanda, being a cult of nocturnal fire, will when worked naturally stimulate the same fires in the practitioner. The magical arsenal of Quimbanda consists of cleaning spells, bindings, attack of all sorts, sympathetic magic, prayers, petitions and workings called despacho/ebo, or offerings of various forms. This arsenal is typical of any sorcerer who offers up a lament and demands in a dance with gifts and sacrifice. We feed the spirits with alcohol, tobacco, herbs and flowers to force a given road to manifest for our workings. This can be given on their point, the written signatures called pontos riscados, and fed with prayers and songs, called pontos cantados, or they are done in their realms in the world or at their tronco and temple. The wise Quimbandeiro who possesses a true and genuine connection with his spirits can perform marvellous acts with a cigar, a few candles and a bottle of cachaça, and the misguided one will slaughter a farm just to twist creation a scant degree to his will and then have dark clouds falling on his shoulders as a negative pattern of repeating misfortune becomes established. It is a principle of the art of war that one should simply lay down his life and strike. If one’s opponent also does the same, it is an even match. Defeating one’s opponent is then a matter of faith and destiny. This is the substance of the Way of the Samurai: if by setting one’s heart right every morning and evening, one is able to live as though his body were already dead, he gains freedom in the Way. His whole life will be without blame, and he will succeed in his calling. This advice holds true for how to deal with the sorcerous weaponry of Quimbanda. After all, the quimbandeiro is the living embodiment of a legacy of wisdom, the memory of death living on in his or her body and soul and moving in his or her life. So, the quimbandeiro is absolute warrior, but he or she must first defeat themselves, and this opens us to the true essence of Quimbanda: it is an art of healing. So, a good understanding of purification, healing baths, fumigations and works for bringing opportunities of goodness into an ill-starred life must be present in the arsenal of a true quimbandeiro. The quimbandeiro works in a world of contrasts, and knows how to kindle a fire as much as how to drench a fire whether with water or alcohol. A quimbandeiro will have at his or her disposal a range of sorcerous solutions for accomplishing a given goal. It is at all times wise to calculate matters of justice and strength and to be honest. An important difference between Quimbanda and more freestyle sorcery which uses sorcerous techniques relying on the practitioner’s own soul power is that in Quimbanda we involve a spiritual potency. Hence what we bind and loose is bound to a greater extent than what occurs in a simple bonding between the practitioner and an object in a sympathy or antipathy, as we are adding a named spiritual intelligence that works with us as in a pact. The Exus are spiritual guardians created by Nzambi, so whatever we bind or loose under their gaze will have a cosmic effect and also be bound and loosened elsewhere. This ripple effect is quite marked in Quimbanda and a working towards its intended goal has a tendency to move in mysterious ways. This is dependant on the insight applied in the preparation and execution of a working. I feel that often when mystery is involved in the working it is because spirit also wants us to grow wiser in the work, so it is particularly in works of binding an object of desire and works rooted in revenge we see this take shape. It is rare to see fairytale results from binding workings, and this is largely due to the resistance in the object of desire. The less natural the sympathetic relations of the bonds worked the more mysterious and less predictable the result tends to be. So, a binding is often ruled by principles that shift the bonds and re-forge them in a greater harmony, and this can be a process where it is important to take advantage of the opportunities that open and work actively with them. For instance, a binding is done on behalf of a man that wants his wife back. This might seem like a noble cause, but what if the man was abusive? How does this change the way we plan the working, and in this case, is this the working that needs to be done, or is a change in behaviour perhaps a better working in such a case? Likewise, when one is obsessed with the object of desire, what can we expect from a working that is from the beginning fed upon by kiumbas as a result of the quality of the energy that infuses the working? It is important to think before doing, not all works should be done and not all works will give the desired results. On the contrary, a messy and rotten bond is likely to generate undesired results, and if the result is manifest, it will come with a bundle of unpleasant energies. I think everyone wanting to create magical love bindings should first read Mrabet’s Love With a Few Hairs as a part of their learning process. Revenge is likewise a bad fuel for magic, and it is bound to bounce back. I know of one fairly recent case where the man in question was hell-bent on murdering a certain juridical official because of false accusations. He went out in the Campo Santo and made the working called Dead Man’s Box, which you will find later in this chapter. Within a week a scandal broke concerning the target; he suffered from a stroke that crippled him and took away his ability to talk. The Tatá who did this was most satisfied and revelled in his success only to find his own health decaying rapidly. Works of vengeance must be cold and calculated; the hot fire tends to call upon kiumbas. When consumed by the fire of passion, pride is fettered and we forget to take simple precautions such as salting our steps to mislead the kiumbas, or entering into the necessary regime of purifying baths and the doing of good deeds to help restore the natural balance. This is just an example of many which testifies that these are real forces, and we should work with them with care, knowing why we are doing what, and calculate everything involved and in particular the nature of the bond we are working with. On a more metaphysical level, the basic structure of a Quimbanda working is that the subject invites an earthly fire to execute a goal. In this process we need to know the nature of the subject, their motivations, character, emotional balance and so forth. Then in selecting the force to be applied we have numerous variations of this earthly fire; but it is all about fire, passion, heart and blood. This is the fuel we are using to accomplish our result. It is therefore crucial to know as intimately as possible the works and possibilities of the fire you are applying, hence my recommendation of approaching Quimbanda as a cult of spirit communion and approaching the spirits as tutors, the true Tatás and Yayas, experienced in life on both sides of the mirror. If we do this we will find that the fires of revenge and desire will be tempered and be replaced by understanding, and in the end better solutions will be provided to accomplish our goals. In this way we will eradicate the biggest pitfall in Quimbanda: to be turned into a mindless toy of the spirits, for the fun of it. The Exus are a law unto themselves, they can be applied to work dynamically in the natural course of the world, but they can also twist it into the macabre and grotesque. We might say that with these spirits there is no such thing as a free lunch; it is an exchange, and the better we bond in communion with them and take them on as teachers the better will this dynamic exchange flow, as they bring balance and cunning to our life instead of anger and drunken foolishness.